WildBird on the Fly: When we guard birds, do we harm birding? When we guard birds, do we harm birding? Beginners soon sense what really goes on in birding circles: the catty judgment about who knows what more than who. Some segments of birding operate like an exclusive country club where the cost of entry is not piles of cash, but loads of birding cachet. But whom does that leave behind — and what is the cost? That resonated with me, given the magazine's focus on expanding the community. In each issue, on page 2, you'll see WildBird's mission statement, which says "WildBird urges readers to share their appreciation for birds and to consider beginners' education... as means of ensuring avian species' survival." 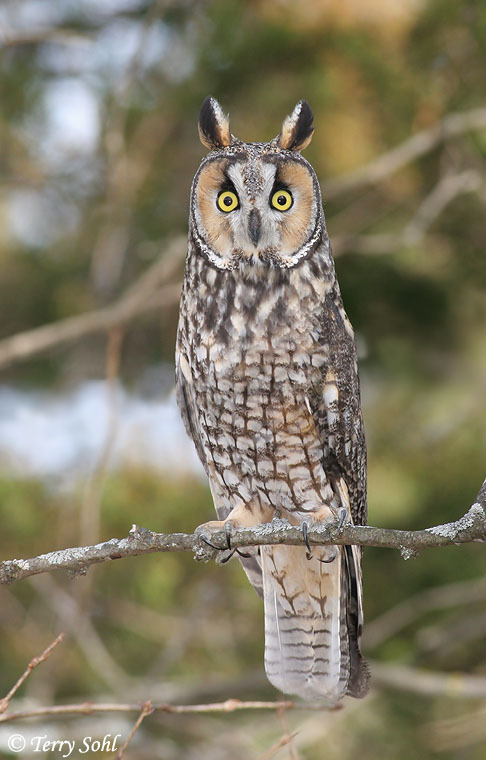 In one discussion of Laura's blog post, a New Jersey birder mentioned a recent Long-eared Owl roost at which some birders stood guard all day, pretending to watch something in the field across the street. My friend (whom I'll call DL) said the sentry birders told him that's what they were actually doing -- trying to misdirect others. Like DL said, owls are sensitive and need to be protected, but why would the birders want to keep the roost's location secret from naturalists who might become more interested in avian conservation or birders who've long wanted to see LEOWs? That seems counterproductive to building support for bird conservation. To quote DL: "That really left a sour taste in my mouth." Do you know birders who've guarded a species' site? What did you think of their decision? Buy beer for the birds?